Recording home movies can be a great way to capture memorable moments and family occasions. But all too often you may feel that the home movies you create leave a lot to be desired, and aren’t as impressive as you hoped. 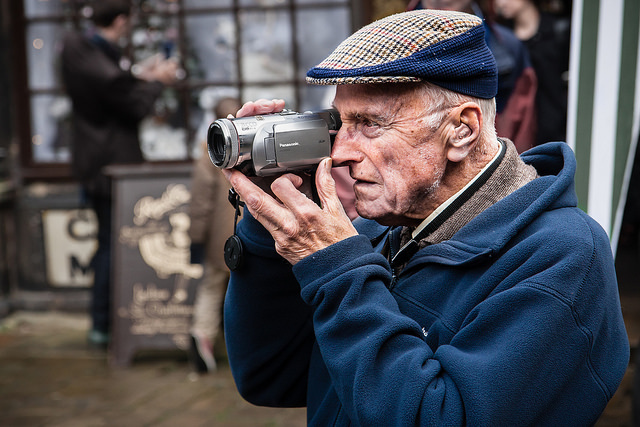 It may seem like a good idea to walk around with your video camera so that you can record everything interesting – but it really isn’t. A moving camera will shake and its video quality will be subpar, making your home movies far less impressive. Instead of making that mistake, you should try to keep your camera still. If you want you could even set it up on a tripod stand, and only pan or tilt gradually when needed. Whenever you’re recording home movies you should try to make sure the lighting is good. At the very least you should aim for the area to be well-lit, so that the video quality doesn’t suffer. If possible you should try to make sure the light is soft and diffused. That may not always be possible for home movies however, but if you want you could even build your own softbox to help. Most video cameras have a grid feature that you can enable to overlay a 3×3 grid on the frame. If yours does you should turn it on, and use it to position the elements you’re shooting more effectively. Essentially what you will be doing is using the rule of thirds – which is a useful yet easy composition technique. It will balance your videos, and make them look much better. Although home movies are rarely the most scripted of videos, it pays to have a rough plan. Before you record your video think about what you want it to be about, and what exactly you want to record. For example if you’re creating a home movie of your kids birthday party you would probably want some shots of guests arriving, kids playing games, the cake cutting, and so on. By planning the shots that you need, you will be less likely to miss out key moments that are vital to your home movie. Post-production plays a big part in how your home movies eventually turn out, and trimming is a good place to start. Most home movies have lots of unnecessary parts, and by trimming them carefully you can help your video move along at a better pace. Finding an MP4 trimmer should be easy enough, and it will definitely help you to improve your home movies. The next home movie you record, make it a point to try out the ways listed above. If you do you should be able to notice the difference they make almost immediately – or at least when you review the video afterwards. All in all there’s no reason why your home movies can’t look a lot more impressive. In fact with a bit of practice, you could even come up with home movies that actually look like they’ve been professionally-produced.